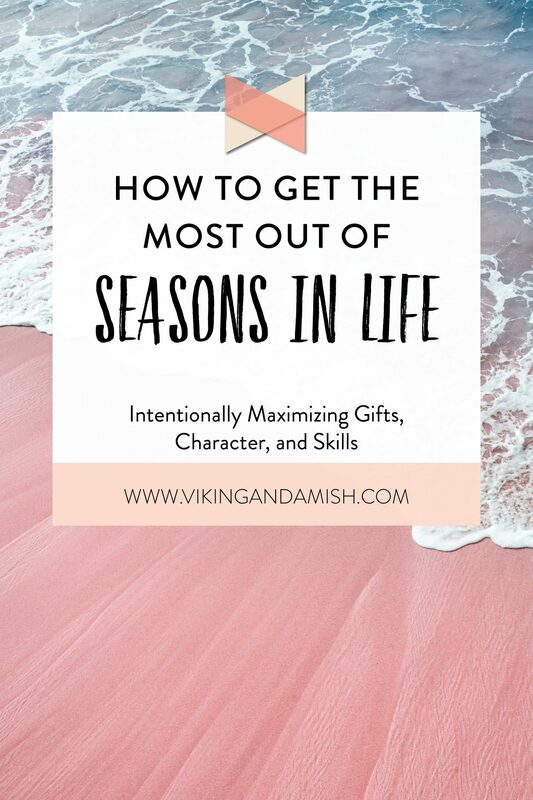 I often hear people talk about being in a “season” in their life. 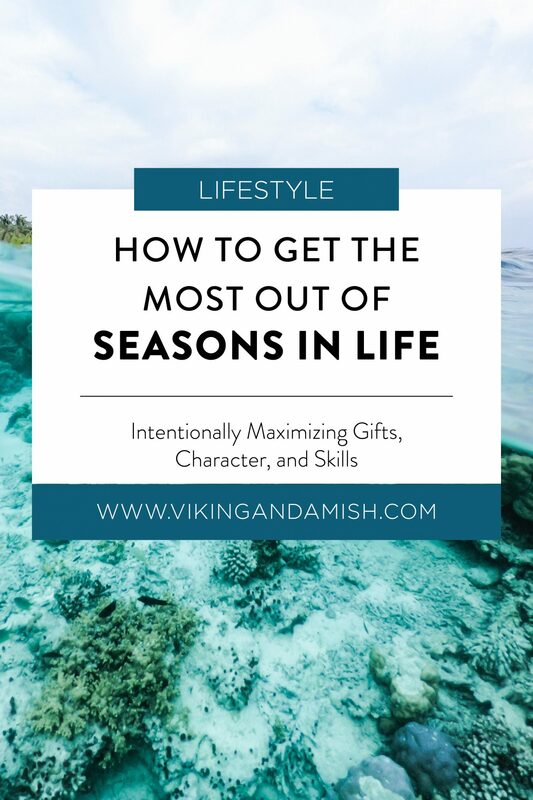 A season is a time characterized by particular features or circumstances. In due time, seasons end and new ones replace them. They can be challenging, and they can be peaceful. For some, Ecclesiastes 3 might come to mind? For everything, there is a season, a time for every activity under heaven. Once we accept that life is full of seasons, it is easier to reap the benefits of it. 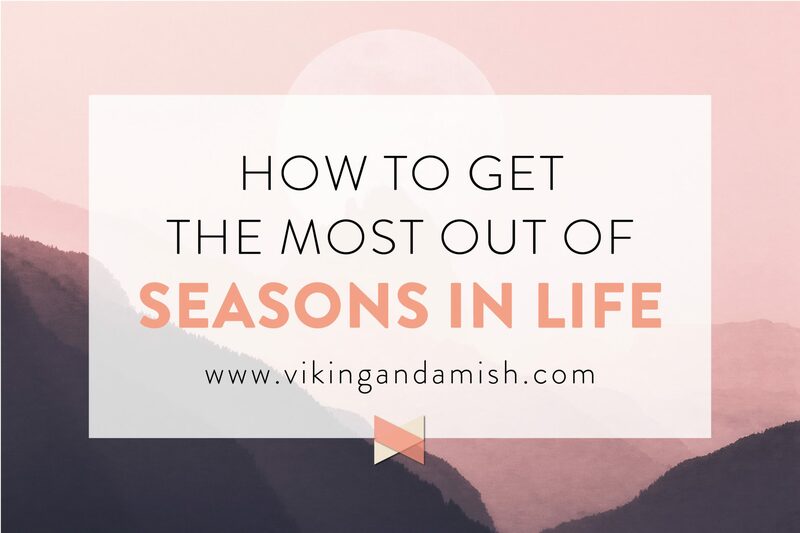 Each season carries valuable lessons to learn from—if we look for it. Therefore, I’ve come to believe that in each season in life we should be able to identify one of three areas from which we are growing and learning from. These areas are gifts, character, and skills. In essence, these three are the main categories in which God challenges us. Even during quiet seasons, when everything seems well in life, we should still develop in one of these qualities. For this reason, I think we should always look for ways to learn new things from God. It is part of being a disciple—allowing ourselves to be molded by Him is obedience. It gives us an opportunity to get to know God even more in-depth. Recognizing that we can learn something new in one of these areas is vital in a daily Christian lifestyle. 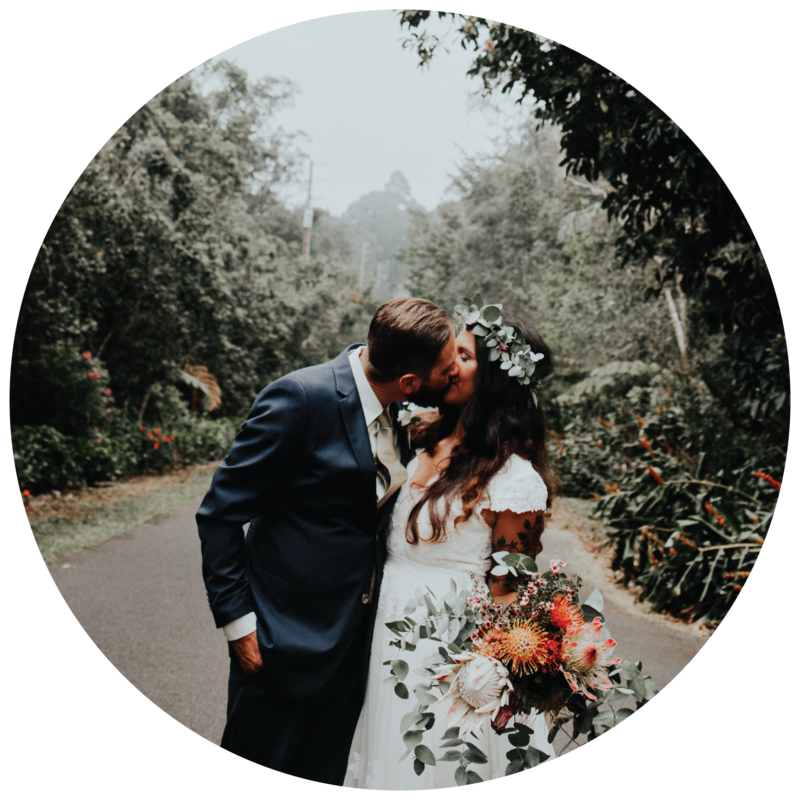 By looking at each of these three things—hopefully, this article will encourage you to solidify what God intends to work with you on in this season. When God invites you to work on an area of your life, He is also offering guidance, advice, and grace to do this. Regardless, that doesn’t make the process less intense or challenging. I have experienced countless times feeling exhausted or even tested by the season I was in. That is normal, and as I mentioned, all seasons end. By staying humble and teachable, we will also be able to gain the most out of each season. I know this might be controversial, but let me begin by asking: Do you believe God has gifted you in any way? This is not a complete list of the gifts recorded in the Bible, but they still make it clear that God never intended Church to be without His Spirit. 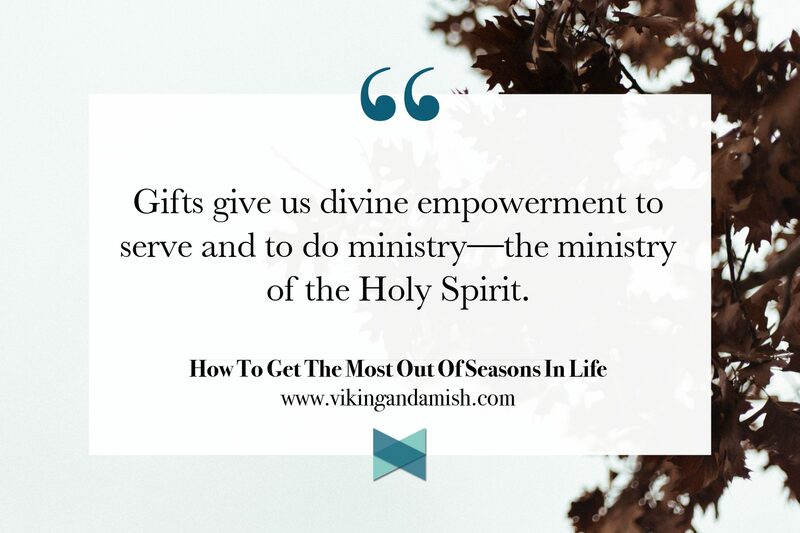 Gifts give us divine empowerment to serve and to do ministry—the ministry of the Holy Spirit. The ministry of the Holy Spirit can also be described as the inner work that God is doing in us and in others. If you are in a place, where you doubt, that God has ever given you any gifts, this might be the area you want to focus on in this season. Gifts focus on the Spirit inside us, whereas character focuses on our mind. Our character is our personality, our temperament, our tendencies, and our traits. Some would define it as our essence. 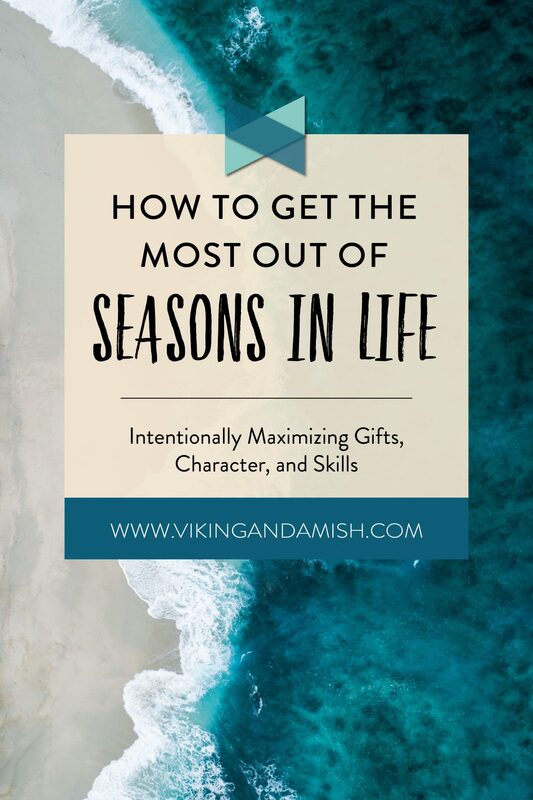 We are always growing in our character, even in seasons where we are focused on developing gifts or skills. But, choosing to focus on character for a season can be healthy if we need to work through something. Do you need to grow emotionally stronger in certain areas? Are there things I struggle with that come from a flaw in my character? How reliable is your Biblical and spiritual foundation? Do my roots go deep or does my foundation fall apart easily? Our character also determines how well we deal with hardship in life. Following, our emotional health. 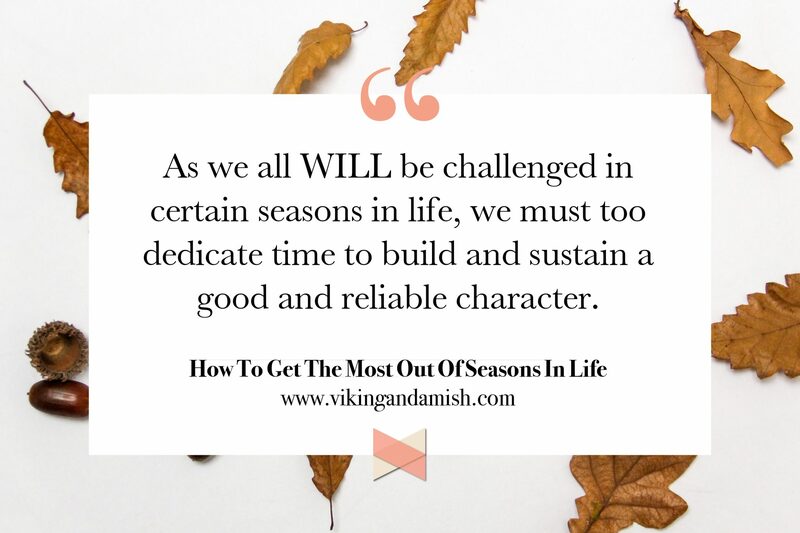 As we all WILL be challenged in certain seasons in life, we must too dedicate time to build and sustain a good and reliable character. This one is less related to growing inwardly and more about increasing outwardly. Regardless, our skills don’t have to be less holy than the character growth and spiritual gifts, though it is easy to fall into that mindset. Skills aren’t the work of the supernatural, rather something we learn through time and practice. 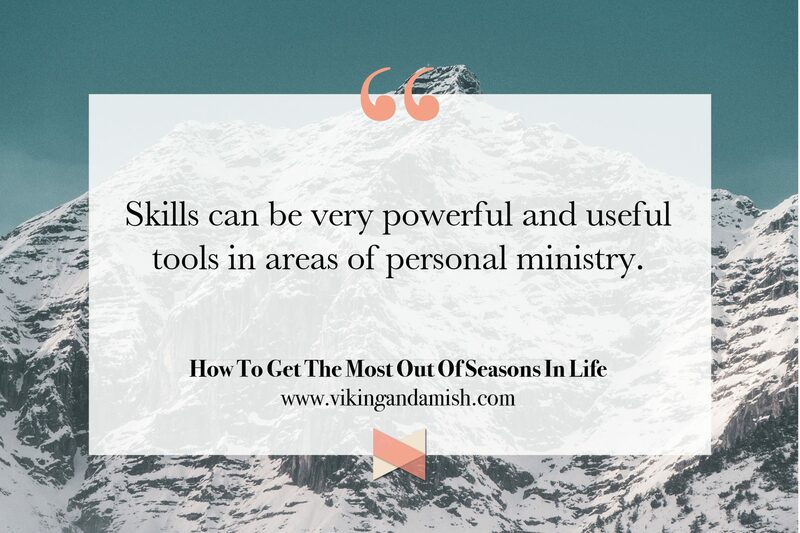 Skills can be very powerful and useful tools in areas of personal ministry. Do I know how to fix my car? Should I learn to cook? Would now be a good time to learn to paint better? What if I learned to sing better? It has always been my dream to learn [fill in the blank]. Take it from me; I was a missionary for years. I was convinced God wanted me to be in full-time ministry for the rest of my life. Yet, suddenly, out of the blue, I got an inkling to finish college and pursue a career. Consequently, I allowed myself some time to pray about it and ask God about it. As a result, I realized that the skills He was calling me to learn through school would be needed later on in the line of ministry that He saw me do. Finally, at the realization that one season was ending for me and another one was about to start I began to look for how to work on my skills. For instance, some learn from just throwing themselves out there, YouTube, getting a mentor, going back to school, enrolling in an online program, and so forth. I ended up going back to school and getting a degree. Simultaneously, I also learned other useful skills during that season in life. For example, I’ve often used SkillShare to learn new things. SkillShare has some of the best and most skilled teachers when it comes to creative, design, and business startup. I have used them on multiple occasions, and there are so many tutorials to choose from. I would warmly recommend them. Click here to get two FREE months of classes. If you are looking to better your skills in the areas of IT and the use of any sort of software I recommend Lynda.com. I have used them in the past, and I’ve learned everything I know about CSS and HTML through their classes. I hope that you will make the best of the season that you are in. As a matter of fact, I, too, am currently being challenged to focus on what I am learning. Thank you for taking the time to consider which season you are in now and for reading this post. If you already know what you are to focus for the time being, please feel free to comment below and encourage others who might be struggling with the season they are in.